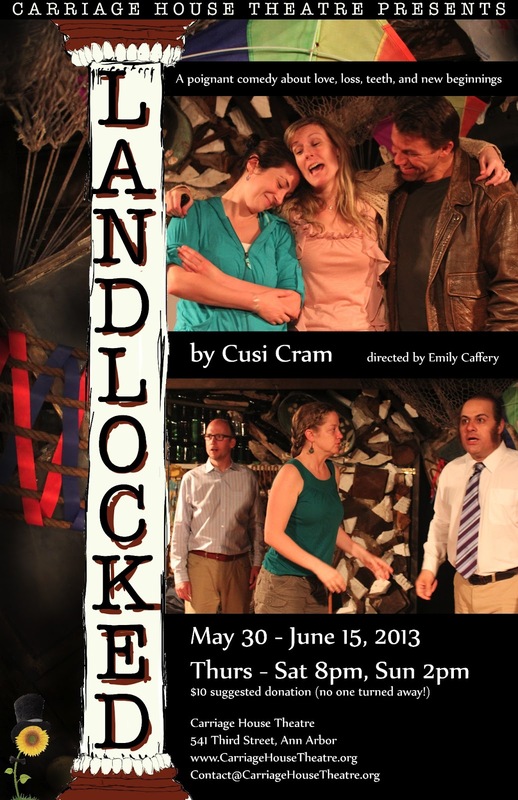 Cusi Cram's Landlocked is playing at the Carriage House Theater through the 15th of June. Anna is a Swiss artist who makes beautiful collages out of trash she finds on beaches. At a gallery opening of her work, she meets Pierre-Luigi, a Bolivian restaurateur who discovers his dentures in one of her pieces, and Aldo, an American trash collector looking to make a fresh start in Switzerland. Anna begins seeing Aldo and starts a correspondence with Pierre-Luigi. But with each person running from their past, can any of them hope to find their place in the world? A poignant comedy about love, loss, teeth, and new beginnings. 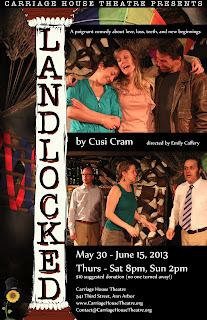 Shows are at 8pm and there is a suggested donation of $10.